Where better to design Garden Furniture than the heart of the English countryside? Bramblecrest's in-house design team are based at their Head Office and Distribution Centre in the Cotswolds, in Gloucestershire, where their surroundings provide all the inspiration that is needed for Bramblecrest's ranges of elegant and practical Garden Furniture which are then manufactured in their factories throughout the world. Selective sourcing of materials and the use of traditionally skilled work force providing exacting levels of workmanship, in factories which specialise in a specific materials such as cast aluminium, high quality teak or woven garden furniture, mean Bramblecrest have no problems maintaining a high commitment to standards right across their ranges. 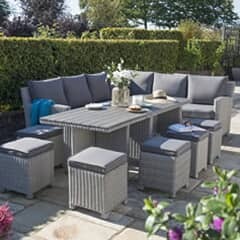 This concentration on standards has led to the well earned reputation which Bramblecrest have for their garden furniture giving them full confidence that Bramblecrest furniture owners can look forward to many years of relaxed outdoor living. 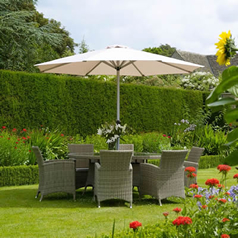 Bramblecrest is based in the heart of the Cotswolds and has more than 10 years' experience manufacturing high quality, attractive, and durable garden and patio furniture. They offer a selection of teak, weave, and cast aluminium furniture, and as well as providing individual items of furniture ready for use, they also offer a good selection of outdoor dining and lounging sets. 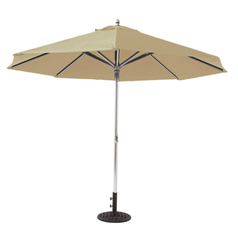 Buy parasols, covers for your furniture, and ensure that you have enough tables and chairs for all your family and any guests that might visit. The right garden furniture can transform any outdoor space into comfortable, convenient, and functional living space. Dining sets are obviously ideal for al fresco dining, but they also offer a simple way to providing seating for parties or gatherings. Lounge sets are designed for comfortable sitting in the garden and include cushions that are designated as weatherproof. You can also buy accessories like covers so that you can protect your new furniture investment even when you aren't using it. 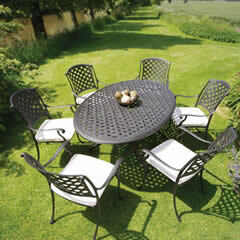 At GardenFurnitureWorld, we stock a large selection of Bramblecrest garden furniture and accessories. We have dining sets and individuals chairs, too, and if you place an order over �50 we will deliver it free of charge to your UK address. Alternatively, feel free to call us with any questions about individual items on the site, or call in to Dawson's Department Store in Clitheroe; you will be able to see our full range of homeware items. Bramblecrest has been manufacturing and supply garden furniture for more than 10 years. In this time, they have developed a reputation for the provision of hardwearing and long lasting furniture. Based in the Cotswolds, the British business supplies its products right across the country, and we are proud to include a vast range of Bramblecrest furniture in our store and on our website. Teak comes from mature teak trees. It is ideal for outdoor furniture because of its natural wood look. It also has natural weatherproof properties that come from the oil in the wood, and it is incredibly strong and tough. Once finished, the teak furniture is also easy to clean, typically only needing a quick wipe down when it gets dirty. The Tete a Tete is a teak love seat, with a small table section separating the two wooden chairs. Leave the teak chairs untreated and they will take a silvery finish over time. Alternatively, they can be treated so that they adopt and retain a particular colour or design style. The wood finish is not only natural, and lends itself perfectly to use in the garden, but the wood is strong and robust as well as weatherproof. Bramblecrest's weave furniture is made from synthetic wicker, which has the same look as the natural fibre but offers greater weather resistant properties. 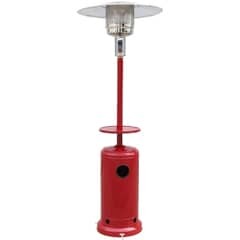 It is made from extruded polyethylene woven around tubular aluminium. This combination offers strength but remains lightweight and flexible. Bramblecrest offers a wide range of weave furniture, including the sets and items below. Seating cubes are convenient and flexible. They can be used separately or combined with another weave set to expand the seating options that you have. The RIO 6 seater cube set includes a glass topped table and 6 seats that tuck away under the table and come with seat and back cushions included. It also includes 4 footstools that can also be used as occasional seating. The whole set is finished in an espresso colour and includes fawn cushions. The seating set is weatherproof and durable, as well as lightweight. It can be left out throughout the year without fear of it becoming damaged by the rain or sun. The Bramblecrest Oakridge recliner set is a set of 2 weave recliners and matching foot stools, as well as a high coffee table for holding drinks and other items. The chairs and stools include fawn coloured cushions. The season proof cushions can be left out in any weather, although it is recommended that you bring them in and store them over winter in order that you won't have to clean them before use again next year. This set is designed for comfort and convenience, and the weave and aluminium combination means that these are convenient and attractive chairs suitable for use in any garden. 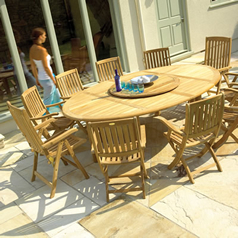 Bramblecrest weave garden furniture also includes both dining and lounge sets. Dining sets include a table and between 4 and 8 chairs, while lounge sets include recliners or lounger chairs and may also incorporate coffee tables, foot stools, and other items. Buying a full set means that you don't have to buy items individually. You can be assured that the set items all match design and style, and you can save money compared to buying pieces individually. Many of the items that are found in Bramblecrest sets are not available individually so if you see a design you like, make the most of our competitive prices and free delivery offer and order today. Cast aluminium is made by casting molten aluminium in a mould. Moulds can be created with incredibly decorative and intricate designs, and it is common for this material to be crafted with a similar design to cast iron furniture. Expect details and creative designs and enjoy high quality and great durability and strength. What's more, cast aluminium requires very little maintenance and is much lighter than the cast iron furniture that it is often based on. There are Bramblecrest cast aluminium garden furniture sets available. These sets include an outdoor dining table with the cast aluminium design that fits well into a traditional style of garden. You can also choose between sets that include 4, 6, or 8 dining style chairs. All chairs include comfortable and durable cushions, while the 8-seater set table has a rotating Lazy Susan style centre section. You can also buy additional, individual outdoor dining chairs, enabling you to extend the size of your dining set and provide convenient and comfortable seating for any number of guests. Although Bramblecrest garden furniture is obviously designed to be weatherproof, you can offer additional protection to your tables and chairs with Bramblecrest covers that are made for the specific purpose of covering Bramblecrest sets. 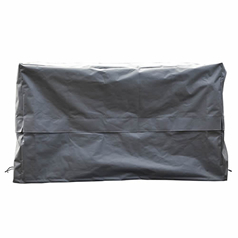 The covers are weatherproof, and they not only prevent rain, snow, and UV rays, they also prevent any dirt and debris from gathering on the items. Even if you plan to bring your dining set into the garage, a cover can help you to eliminate accidental damage and reduce wear and tear. Bramblecrest is a UK based manufacturer of high quality garden furniture, including pieces made from teak, synthetic weave, and those made from cast aluminium. Individual items, as well as dining and even lounging sets are available. Whether you eat alone or have a large family of 8 people, you can buy the outdoor furniture or garden furniture sets that will accommodate the appropriate number of people. Some chairs are also available individually, which means that you can further extend the size of the dining set to include additional seating for extra people. The brand also manufactures and supplies additional items like chair and table covers, parasols and more. 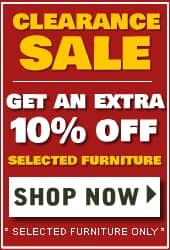 At GardenFurnitureWorld, you will find a large selection of garden furniture, including items from well known brands like Kettler and Hartman. 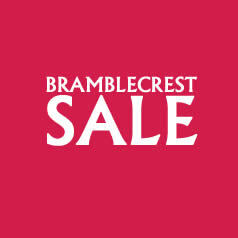 We also have a stock of Bramblecrest garden furniture sets, individual items, and accessories. 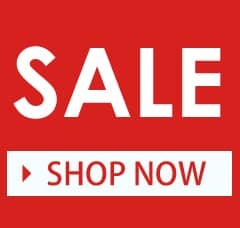 We offer competitive prices, regularly update our Bramblecrest sale page, and we also provide free delivery on all orders over �50.